Massive Open Online Courses (MOOCs) provide free lectures and assignments, and gained global attention for their potential to increase education accessibility. Plagued with high attrition rates and fewer returning students every year, MOOCs have pivoted to a new revenue model—offering accredited master’s degrees for professionals. Host Meagan Cantwell speaks with Justin Reich, an assistant professor in the Comparative Media Studies Department at the Massachusetts Institute of Technology in ... See More Cambridge, about the evolution of MOOCs and how these MOOC professional programs may be reaching a different audience than traditional online education. Archaeologists were flummoxed when they found a brilliant blue mineral in the dental plaque of a medieval-era woman from Germany. It turned out to be lapis lazuli—an expensive pigment that would have had to travel thousands of kilometers from the mines of Afghanistan to a monastery in Germany. 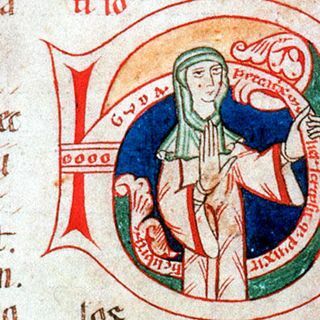 Host Sarah Crespi talks to Christina Warinner, a professor of archaeogenetics at the Max Planck Institute for the Science of Human History in Jena, Germany, about how the discovery of this pigment shed light on the impressive life of the medieval woman, an artist who likely played a role in manuscript production.